This comes as a surprise to absolutely no one. 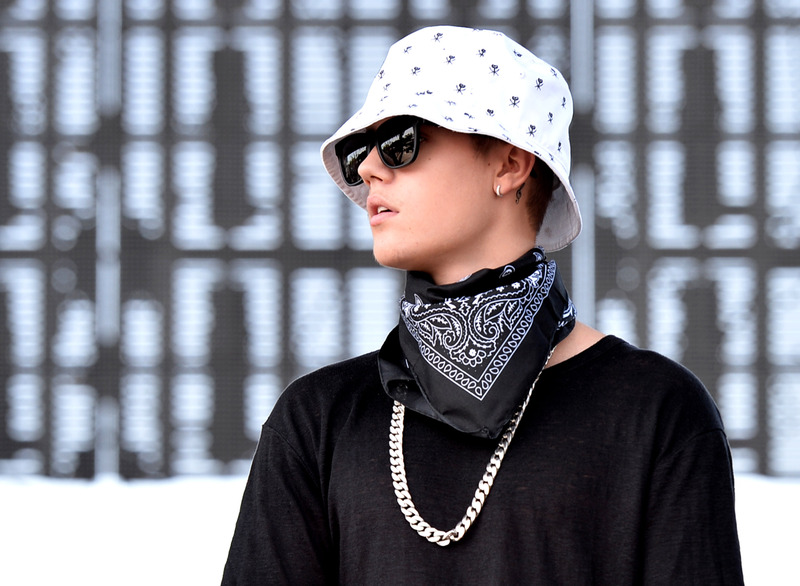 Justin Bieber is already in danger of violating his probation. Since it might be hard to keep all of Bieber's numerous legal issues straight, the Biebs is currently on two year probation for egging his neighbor's house after pleading no contest to the misdemeanor vandalism charge. Combine that with the fact that Bieber has been annoying his neighbors at his Beverly Hills condo with his constant partying and alleged drug use and you can kind of see where this story is going. Apparently, the police were called to Bieber's condo six times over the weekend, because the downside of living anywhere near a young adult pop star is that he's going to have absolutely no respect for late nights or curfews. According to TMZ, each time that the police were called in on a noise complaint, they ended up leaving without issue because Bieber promised to turn the music down. There were four noise complaints and then two other incidents involving disturbances with fans and paparazzi — all culminating in the police teaching Bieber's neighbors how to make a citizen's arrest. In the United States, it's totally and completely legal for you to arrest someone without a warrant for committing a crime in your presence. Most people don't, because without handcuffs to restrain the criminal or a licensed gun to give you some credibility, most lawbreakers are going to laugh in your face when you stand up and say, "You're under arrest, Mr. Bad Guy!" However, the police have their hands tied being "unable to make an arrest for a misdemeanor if they don't see it happen" and that's probably why they're empowering Bieber's neighbors with the obscure right of a citizen's arrest. That and the fact that they've been called to Bieber's condo numerous times over the last month and they're probably as sick of it as Bieber's neighbors are. If it finally comes down to Bieber's neighbors having to arrest him themselves, how is that likely to go? "All right, Bieber, open up!" "Is that a fully stocked mini bar?" "And the latest Drake song?" "Mind if I just hang out for a bit? Just a bit." "Oh, but don't forget, you're under arrest. Later. Okay?" Yeah, it might be better for Bieber's neighbors to let the police handle this one.